Motrac Industries has over 60 years of experience in hydraulic engineering! We are well known as distributor of Linde Hydraulics in the Netherlands, Belgium, Germany and Poland. We develop, build and repair hydraulic systems such as powerpacks and complete hydraulic and electrical installations. You find our systems in the earthmoving- and mining, maritime, automotive, industry and agriculture markets all over theworld. Our specialist Motrac Hydraulik in Germany equips us to engineer and manufacture customized solutions in the area of manifold and valve technology which carries the brand name IMAV. Hydromarine is our own specialist in hydraulic systems, repair and service in the maritime market. Located close to the Port of Rotterdam. 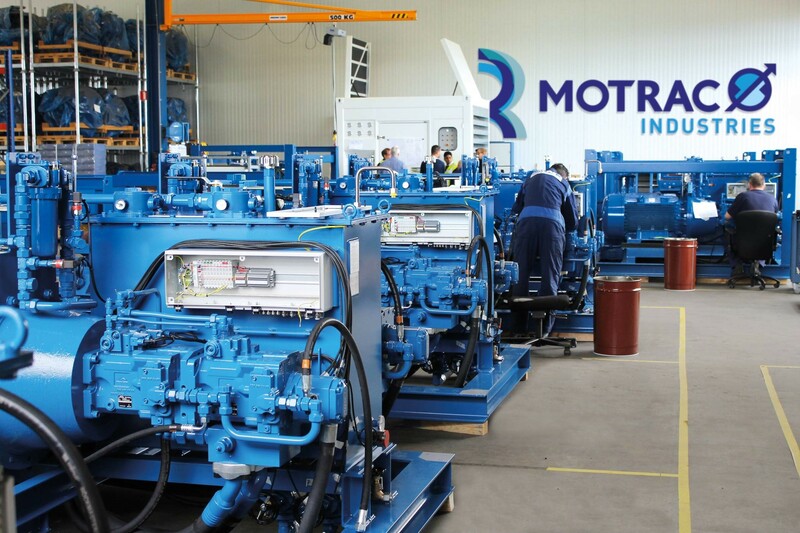 By combining the expertise, engineering and production facilities of these three businesses, Motrac Industries provides you with the best solution hydraulics can offer. Doing business with Motrac Industries means dealing with open and accessible people who love their work. We always work on a partnership basis. Your requirements and wishes are identified down to the smallest detail and converted into the best solution for you. We guarantee the highest quality for minimal operational costs. Dealing with notified bodies, 3.2 certification and commissioning and servicing worldwide is no problem for us. We have longstanding collaborations with our preferred partners, Linde Hydraulics, Bucher Hydraulics, Eaton, Völkel Mikroelektronik, Aradex and other leading brands. We keep a wide range of hydraulic and electrical components in stock for fast deliveries. We are able to offer you the best technical solution, highest quality, short delivery times and excellent service!